Fitbit is finally growing again thanks to its successful push into smartwatches. The $199 Fitbit Versa helped drive a better-than-expected holiday quarter, although the company’s guidance made clear that its turnaround is still a work in progress. Unlike wearable leader Apple, which sells expensive products aimed at people willing to pay a premium, Fitbit’s strategy is to grow its user base by offering the best value. The Versa is already substantially less expensive than the latest iteration of the Apple Watch, and new products announced on March 6 bring prices down even further. Instead of launching a next-gen Versa, Fitbit has opted to remove some features and launch a slimmed-down version of the popular smartwatch. The Fitbit Versa Lite Edition will go for $160, a $40 discount to the original Versa. The Versa Lite is still a true smartwatch, and it comes with most of the core features of the Versa, including heart rate monitoring, apps, and a battery life of over four days. The Lite model has a simplified design, with one button instead of three, and it’s missing a few sensors and the ability to store music on the device. It’s a no-frills smartwatch for sure, but consumers who have resisted smartwatches so far may find the lower price enticing. On top of launching its cheapest smartwatch yet, Fitbit is rolling out new inexpensive fitness trackers. The Inspire HR and Inspire, previously available to enterprise customers, will now be available to consumers. The Inspire will go for $70 and offer basic fitness features, while the Inspire HR will go for $100 and offer heart rate tracking. These prices compare to $150 for Fitbit’s flagship Charge 3 fitness tracker. 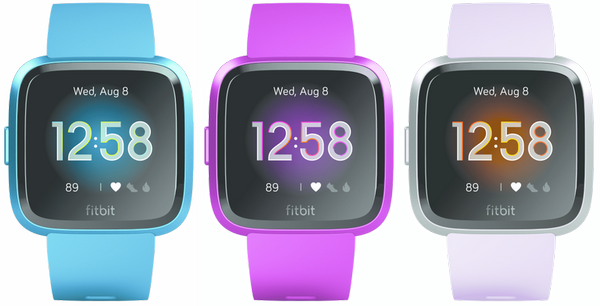 Lastly, Fitbit is rolling out the Ace 2, a sequel to the kid-friendly Ace fitness tracker. The Ace 2 comes with animated clock faces, challenges, and other features aimed at encouraging kids to be active. The Ace 2 will launch in the summer for $70, while the other new devices will launch this month. While there’s some risk that the Versa Lite and Inspire trackers will cannibalize sales of Fitbit’s more expensive products, lower-priced products may be necessary to grow the user base. Fitbit is still in the very early stages of monetizing that user base — its health solutions segment is expected to bring in around $100 million of revenue this year, less than 7% of the company’s expected total revenue. But the long-term goal is to increase the amount of non-device revenue. Fitbit had 27.6 million active users at the end of 2018, up 9% from 2017 despite selling fewer devices. With fitness trackers not improving much year to year, winning new customers with inexpensive products makes more sense than trying to get existing customers to upgrade. 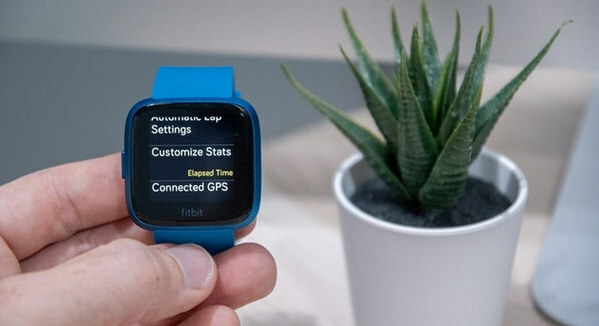 Fitbit expects to grow revenue by 1% to 8% this year, driven by smartwatches and its new inexpensive fitness trackers. But the company’s strategy won’t help the bottom line for now. Free cash flow is expected to be a loss between $40 million and $70 million, down from a profit in 2018. Fitbit is playing the long game, and it has the cash to do it. Fitbit’s balance sheet featured more than $700 million of cash at the end of 2018, giving it plenty of time to get the business back on track. Building out its health solutions segment is proving to be a slow process, but the company doesn’t need to be in a rush. With cheaper devices, Fitbit should be able to boost its device unit sales this year at the expense of average selling price. That will grow the user base, creating a larger pool of active devices that can eventually be monetized. This will be a years-long process, so investors will need to be patient. But Fitbit’s strategy is starting to come into focus. It is well known that Fitbit Versa doesn’t support Spotify and you can’t download music from Spotify to Fitbit Versa directly, even with Premium subscription. 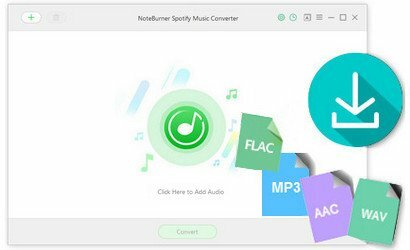 But luckily, there is a smart tool called NoteBurner Spotify Music Converter came out for getting you out of this dilemma. It is an all-in-one Spotify music converting tool, built with advanced encoding technology, compatible with both Windows and Mac and supporting to perfectly convert DRM-ed Spotify music to plain MP3, AAC, FLAC or WAV format at a fast speed with 100% lossless quality preserved. With its help, you can get rid of the restriction of DRM, and transfer or sync Spotify music to Fitbit Versa easily.